Attention PHP Developers. Web Pages can be written in PHP. At first look, WebMatrix only supports Microsoft technologies. This is not true. In WebMatrix you can write full PHP applications with MySQL and all. 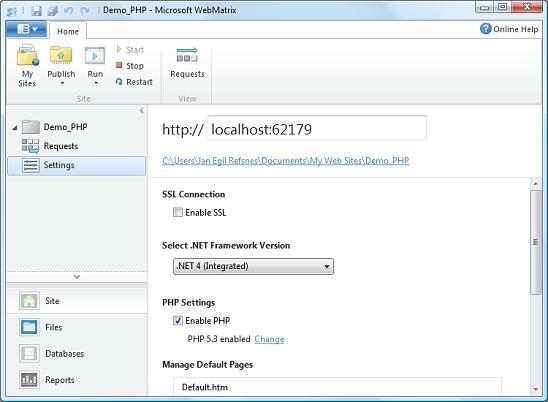 In WebMatrix, create an empty site named "Demo_PHP", enable PHP (see picture below), create a new empty page of the type PHP, name it "index.php", and you have created your first PHP site. Run the file and see PHP at work.